Today, as we continue on our accelerated pace rushing into 2009, we have decided that it is timely to discuss an important issue with you; one that seems to be “unknown” to the general populace and especially to the religious devout. The issue is “understanding that there is not an Apocalypse taking place in the most biblical sense of the word, but that yes, we are undergoing a world transformation. This is a type of terra-formation. “Terra-formation” in this sense is a method of physical, mental and Spiritual transformation that not only Earth herself is undergoing, but all other aspects of life as well. Can anyone argue that we do not need it? Much has been written over the centuries regarding an illusionary Apocalypse denoting what the zealots of religions call “the end times.” All right, we understand that even back then so much horrendous pressure was forced upon the populace to adhere to the dictums of the early religions and it then became a conditioned response of the world’s people. In great part the diabolical lies and manipulation of Greater Truths has been handed down effortlessly to each succeeding generation, even yet today. Tell us readers, when is enough, ENOUGH? How much effort does it require for each person today to have the backbone, to have the inner determination to really seek the truth? Apparently this is too much work for many people on the planet. Speaking for ourselves as well as others who share the same interests as we do, we are each on our own personal quest to continue to turn the tide to truth in a world that has existed in illusions. One of the things that bother us the most is the lack of discernment many people show when reading ancient lies. Keeping people in fear is easy; keeping people in truth is not. A person’s fears will eradicate truth. So, many times truth must stand on its own. Among the many lists of lies we have listed on our “billboard” is an illusion that is so malicious that not only has it ensnared the feeble-minded, but has also harmed people who are either Spiritual or working to become a more evolved form of themselves. We are going to discuss this issue with you, then you decide what you believe. Yes, we are passionate about this matter, perhaps it is time for all people to be as well. After all, how do you know what is truth if you do not know what is a lie? In order for something to be considered apocalyptical the subject matter would have to be conveying a revelation. In a sense we suppose you could consider this subject matter to be apocalyptical because our desire is to turn your world upside down. Then you can decide for yourself if you are harboring the same illusionary belief known for centuries as, “The Four Horsemen of the Apocalypse.” In truth, they do not exist. Those Four Horsemen who have been dreaded by mankind for centuries have been the cornerstone of a religious foundation of one of humanity’s beliefs ad nauseam. You see, one of the greatest threats to the ancient Illuminati has been truthful revelations concerning not only the God of this Universe, but the reemergence of God’s Light called, “The Golden Now.” The darkest of the dark energies abounded without much constraint in those earlier times. As the slow progression called “evolvement” continued its expansion among ALL the human races, the dark ones’ fears of “truth unveiled” became paramount in their minds. You see, it had always been known to the dark ones that the greatest time of peril for them would be AFTER humanity AS A WHOLE, became consciously aware of their own Godliness and the true reality of the game the Beast was playing against all of mankind. Religion already had its foothold on the hearts and minds of humanity during the time that Jesus The Christ walked the Earth. The more He tried to share His truths of Universal Teachings, the more vigorously the Illuminati puppets coerced the Souls who were not succumbing to the dark, blatant lies of the Illuminati forces. Those people who did give in to the Illuminati did so because their very lives were at stake. They had no recourse that they were consciously aware of. They are not to be blamed; they did the best they could in those terrible times. As Jesus was trying to share His truths another plot was being hatched to instill even more fear among all races of people. The plot was ingenious in its morbidity. A convoluted method of passing down through centuries an ILLUSION of a group of four men, or four Spirits, who would allegedly punish humans for transgressions, control the human race, eliminate the human race as THEY sought fit, etc. was born. Furthermore it was said and later written that these four would appear to “cleanse the Earth when evil was running rampant here.” The irony is that this illusionary event was hatched by the dark forces wearing the GUISE of the LIGHT. A White Horse with he that sat upon him, had a bow and a crown was given unto him, and he went forth conquering and to conquer. The second horse that was Red and power was given to him that sat thereon to take peace from the Earth and that they should kill one another. The third beast was Black and he that sat on him had a pair of balances in his hand. The fourth horse was a pale horse and his name that sat on him was “death” and hell followed with him. And power was given unto them over the fourth part of the Earth, to kill with sword, and with hunger, and with death, and with the beasts of the Earth. Is anyone paying attention here and seeing how intentionally fearful and con-troling this doctrine is that was deliberately inserted into religious texts and became an integral part of the bible? It is about pain, punishment, physical death and outright annihilation. THIS is also how the “wrathful God” belief was spawned. This is also how the illusion of “hell” was further promulgated. Now, we will share a Greater Truth with you since you have had time to read the Great Lie. In those earlier times crucifixion was a normal means of punishment. Thieves in particular were placed on rough hewn wooden crosses with their wrists bound and outstretched on the cross as an example to others, as well as a punishment for their crimes. The fact that Jesus was never crucified on the cross did not prevent the crucifixion story to become another part of the cornerstone of the illusion foundation. People believed then, as so many do yet today, that Jesus The Christ actually died on the cross to save people from their sins. His martyred image can be seen in millions of churches, on jewelry, in books etc. So the true meaning of the cross was hidden from the world’s people who unwittingly sought to subjugate themselves to a crucifixion event that never occurred. They never knew the difference between a cross and a crucifix. The crucifix itself is a figure of pain, sorrow, torture, abomination of Spirit and misdirection. People were purposely misled on how to seek salvation for their perceptions of sins and were also taught of an illusionary need to eradicate the “sins of their fathers.” This was but one manner of how the dark forces foisted guilt upon humanity. So, what is the cross? Glad you asked. A cross, an ordinary cross: or crosses with crystals, crosses made from metal, wood, silver, gold, whatever materials that crosses can be made from, that do NOT depict an image of Jesus The Christ on that cross, have a meaning that few have ever imagined. In one of the most malevolent Machiavellian attempts to hide the true identity of a cross, the dark energies continued to impress upon the peoples the need to wear or have a crucifix with the hope that in this way they could continue to hide a cross “in plain sight.” After years of seeding mistruths the Illuminati could not allow the true meaning to surface and have it backfire or boomerang upon themselves. Simply stated, the cross is a compass. 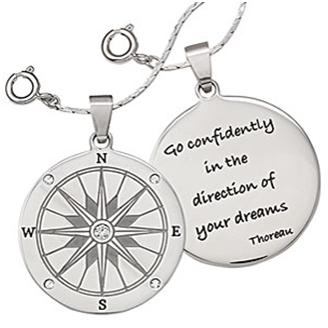 The compass denotes North, South, East and West. Each point of the compass represents the races of the world. We are now in a time when North needs to meet South and East needs to meet West, and North, South, East and West need to converge in harmony. In this manner there will be no division between black, white, red and yellow. Some Native prophecy calls it the time when the Condor of the South and the Eagle of the North come together as one. What further needs to be understood by the reader, is that the simplicity of the compass is daunting to dark Souls. You see, this means that as a person becomes aware of the powerful magnetic energy that a cross projects to all other people whether they are wearing, or possessing crosses, it enhances and magnifies the Light of each Soul. Essentially, each race is a “horseman.” So regardless of the preponderance of mixed races on the planet, each person still is part of a race which is genetically predominate. We are not getting into reincarnation, karma or anything of that nature. We ask that you maintain focus and be receptive to understanding that those who wear a cross become a cross. We consider this to be a part of everyone’s birthright. No, we are not telling everyone to run out and buy a cross; we want you to at least be aware of the true significance of the cross. As more and more people become aware of this fact, the more these same people can dis-empower dark forces. In this manner more can be accomplished with less effort. Which brings us to the title of this writing. Each one of you who understands what we are saying, why we are saying it, and are assimilating the truth of this matter, causes each of you to become a force to be reckoned with. This means that you are moving up anther step on your own personal ladder of evolvement and being an active participant “on horseback” with the Golden Now. You are no longer searching for all aspects of your destiny, in many ways you are being your destiny. Remember the cross is NOT religious, it is a Spiritual “direction finder.” Each Soul is Its own cross and what a wonderful gift that is! Now that you know what you have and what you are….. use it! And have your Light shine as brightly as the Son of God or the Sun of God, whichever you prefer. From now on you will see simple images of the cross wherever you go, it may be on a uniform, it may be on a road, it can be longitude and latitude symbols to guide you, it can and will be everywhere you go. So just smile and enjoy your gift. As the Golden Now, which is the Genesis of God on the Earth Star planet, continues its forward momentum and achieves its final destination, the envelopment of this world in totality with the Light of ALL Lights, there will not be any separation between any races of people; there will be only one horseman….. the human race. We realize this is a controversial subject, but then – truth always is. We are extending an open invitation to the people of the world and we are asking each reader to reach out to those who they can by sharing this news and other topics we will cover in time, with the masses, even those people who do not have computers. We are advocating “People Power.” This means everyday people; it is not the elite nor the wealthy who will make a difference. It is you; it is your son, your mother, your daughter, your best friend and all others such as yourselves. You are the ones your have been waiting for. So please, let your voice be heard around the world. As we write about other toxic illusions which have plagued peoples’ beliefs since time immemorial, we may once again call upon you to participate in sharing your comments and perspectives. Your words will not go unnoticed. We wish to say, THANK YOU, from our hearts to yours. Note: Your comments are posted in the order they were received by us. We will be adding others’ comments on the “Four Horsemen” as we receive them from the general public. It makes perfect sense to me now. I love the revelation that the cross is a compass and that the four directions are represented. I see it as a multi-dimensional direction finder as well, a symbol of our journey along many paths but all leading to the Light through the Golden Now. Multi-tasking is something I’ve always done without understanding why. Now I can see it as being part of my multi-dimensionality. I used to cringe at the idea that the cross represented death and sacrifice, but now I look upon it as a spiritual gift of enlightenment and guidance — for all. In reference to your article on The Four Horsemen of the Apocalypse… I am not a student of the Bible but have read it more than once. I could never quite understand Revelations and its dire predictions. Many Evangelicals to this day are preaching about the end times. They invariably take quotes from Revelations in order to make their point. These same preachers are adamant about their belief that Jesus The Christ was crucified for our sins and the sins of our fathers. In fact they believe that our birth was sinful because we were not immaculately conceived! The Illuminati have taken the spiritual symbol of the cross and using their dark influence made the cross symbolic of a suffering Jesus. The crucifixion has even become a metaphor in our languages, implying a similar fate that Jesus suffered could befall us if we did not toe the line. I do not agree with the Evangelicals–The Four Horsemen of the Apocalypse, Jesus’ crucifixion and his subsequent death. However, I do believe that there is a Jesus The Christ and that He was one of the greatest Teachers that walked the Earth. I believe that He still guides and teaches from the higher dimensions and I hold a deep and abiding love for Him. It is up to Humanity to be open to new concepts and belief systems and to let go of their fears of the erroneous end times. I feel that your timely article can be a catalyst for a change in one’s consciousness if only one would be willing to hear Truth and then make that transition from lie to Truth. Chako Priest, Ph.D., Surprise, AZ. Thanks for the opportunity to opine. As fear and control are not in any way possible for God/Creator, nor characteristics of the Christed Ones, there is no way for this story..”the Four Horsemen of the Apocalypse,” to be anything other than a fable. As I ponder the words, “made in His Image,” “Gift of free will,” “All Created equal,” I say that all of us can only begin to imagine the Light we have here within our human shell, that Light that no one can take from us, even if “they” are on a horse above us and “we” are standing below on the ground. When this is all realized by the populace, then there will be ultimate freedom to let the Light shine free-ly. At last, at LONG LAST! Thank you so much for this most insightful writing. I think that you are correct. Excellent work. I will spread this around. IT IS HARD TO KNOW HOW MUCH INFORMATION NEEDS TO BE SHARED WITH PEOPLE WHEN EVERY LITTLE THING SENDS THEM REELING BACK TO, OR INTO, FEAR. HOWEVER, TODAY LET US SEE IF WE CAN EDUCATE JUST A FEW WHO WILL STAND TRUE TO THE LIGHT AND LEARN FROM THE EXPERIENCE. In taking the chance that you will read this email considering your busy schedule…I REALLY, REALLY enjoyed this Update. Makes absolute sense. I remember my Mother telling me years ago that the Cross had a much greater “realization” than was understood at the time but I never asked her what that was. I am thrilled with this “truth” and am very happy to spread this far and wide to anyone who is willing to “hear.” Most important, I will take special note any and at all times that I witness this symbol and honor it with heartfelt reverence. WOW!! Who knew?! It is especially wonderful to understand that the Cross has absolutely NOTHING to do with religion. Yippee!! I must say thank you for all your work to provide such helpful information to us. I was never a student of the bible or religious test, but I am familiar with the works and imagery the dark ones have used over and over. Thanks to you and other light workers I am well aware of the dark forces and their devious plans. It’s very important for us all to continue to live within the light and learn to let go of all dark and negative influences. It is undoubtedly Gods time and our time to expose these dark ones by living in peaceful ways and reaching inside to discern fact from fiction. I’m glad I now understand the true meaning of the cross. I know that our great brother wasn’t crucified. Re your article about the four horsemen,,,, and the cross, I wore many a wonderful cross,, but never saw it as the death of Christ,, or that I was of any set RELIGIOUS ORDER,, always,, stayed clear,, but spent a few years in a Catholic girls school,, etc, although not catholic,, I was aware since the day I can remember,, I was intrigued by your article as in the word compass,, I always wore it as a compass, to me it was a clean free piece of metal,, that spoke to me ,, but ,,,, it did not have Christ hanging on it ,, it was a compass to a path,,, interesting,, when I read your article that came to me,, it was a pure simple symbol or as you as you said a compass to a personal spiritual path,, not a mass , religious path,, and I am sure many are realizing this , especially of late ,, this past month,, it is over,, the dark is over,, anyway like the article,,, and the use of the word compass,, simple not fraught with religious manipulation of the masses,, it was always simple,,, so simple,…. This may seem like a dumb question, but exactly who are you people? Sorry if that comes across rude, I am just interested in knowing. Well, that’s a good question, I can think many things, because the mind is chaotic with thoughts that might not even be our own, If I read reviews from other people, I can be influence to think that you are loving caring people, children of god, messengers of Sananda. It is hard to key on the precise thought of who you may be, how ever the reality is, you are a Human, and a being, in other words a human being. A witness within a physical vessel, watching every aspect of your life unfold. There is desire in you, to do good for the world, and possibly enlighten people to interesting facts, or beliefs. The is a desire in you to free the minds of the mentally enslaved, who have Secom to ignorance and denial of their existence, by simply following the crowd, and being blinded by mass media, and the monetary system. I don’t know who you are, but I can start off by believing, that you are good people, I have no reason to think other wise, however, there are many sources out there who come to spread lies, and false hope, there are many people out there that are wolves in sheep’s clothing. It is just my one wish that you people are genuine, or at least a lover of mankind, and not demonic forces. The internet is riddle with lies, tangled in a world wide web of confusion, and I am just hoping you are not apart of that confusion. You do say some interesting points, which is why I had to ask who are you. I hope You truly know who you are, and live by that knowledge in the right way. My only plea is this, please don’t spread false hopes, or false teachings, or false lies, please be as real as you can. Because the people of this existence, are confused enough as it is, and its getting out of hand now. Thank you Celest and David for this article. In more than a few conversations as of late these topics have been brought up by people who have called me and in awakening they have been seeking direction. Many have been outraged at how the Illuminati have caused great harms to the planet and her residents. All have been shown that there is another way, that which leads them on a path to the golden age-if they so choose. They’ve been shown that rather continue in rage and replicate the dark emotions of the dark ones-recognize that by thanking these dark ones for in acting so heinously-they were given a chance to understand how corrupt and vile many parts of our government and business had become. This helped them wake up. We spoke of learning discernment, replacing their dark emotions with godly acts of goodness in helping their communities, talking to others about their discoveries and creating an ever widening network of friends and family waking to the truth. For the most part of my life I realized that The Bible was a concocted book, that was endlessly rewritten. I always was astounded when people made up whole sermons on a quote they found in the bible. (Often a totally different quote could be found in another part of the same book!). I also noticed that some quotes are used endlessly and some are totally ignored. As a result I totally lost interest in this book. It felt like a tool to manipulate and if there was truth in it, I did not have any means to find out the truth from the lies. I decided to live my own life and find my own truth. Why should you use a very old book with so many prejudices and that is so many times rewritten to steer your way through life? My family created so much misery with their religious fanaticism! I often think what will happen in the next years. Which one of my friends is going to make it in that new time, and who is not? Will the appearance of a craft of our spacebrothers help people to “widen” their beliefs? My family does not want their boat to be rocked! They are not interested in my ideas on the past or the future. They believe that their lives will go on as they did in the past. Maybe the appearance of a spacecraft will signal them, that their ideas on life could use a make-over. For myself: I am learning to use my creative abilities: learning to create the life I want for my self. I have learned to be more content and peaceful. I have learned that talking to God and talking to Gaia is normal. I realized I always have talked to Gaia as if she was my mother. I just did not understand why I did it. I know now. I am better a solving problems and setting a goal instead of bursting out in panic and anger. And it works! I love your God-books and the Matthew books. Keep on writing! PS: sorry for mistakes in my spelling. My English is not flawless. I just hope you get the meaning! Hi, interesting about the horsemen. I am not really a “bible” person, but acknowledge many truths in there if you look deep enough beyond the fogging and manipulation. I read somewhere in my Egyptian studies that the cross also has another meaning. The horizontal is the negative and the perpendicular is the positive that goes down into the earth. Where they meet is the neutral energy. In a world of opposites, third- dimension, the goal is to be neither negative nor positive, just be. When we desire only positive we automatically create a negative. One cannot exist without the other; e.g., dark, light – how do we know light without it’s opposite dark? To be in the center of the cross is to be in pure Love, which is neither positive nor negative, yet it incorporates both. Just another take on the cross symbolism. I wanted to thank you for all that you and our other universe family have shared. As to the information on the Four Horsemen, I question anything that is fear-based or fearful. In going forward in my attempt to think with my mind, but decide with my heart, there is no place for fear in the process. I loved your message about the cross. I’m not on your mailing list, but received the info from Russ Michael. I have always known that the cross had a special meaning, not the religious one, and have used it for years in making sure that the information I’m getting is from higher beings, etc. So, bring it on. I love the truth!!! I also use it to make sure that I’m aligned with Source. Every morning, when I ground and clear for the day, I see my Chakras lit up with crosses. So, thank you. You have my support……. How about giving God a break at least once a day, every day? We can start by daily lessening our instant reactions to “bad” news. We can begin and end each day by being thankful. We can love ourselves which naturally leads to loving others. Etc. The cross is the four directions but we go beyond the 4 to 7 and then the whole, the circle (sphere) of life. Thank you for all that you share with us. Blue Star’s words and “And Then God Said…..” are especially appreciated, as are your patience and persistence. I was brought up as a Catholic and joined other religious groups seeking truth, finally finding my true path about 20 years ago. I am a ‘Metaphysical’ spiritual practitioner if you will. I totally agree with what you have presented regarding the 4 horsemen and the crucifix, cross, of which I have one question. When muscle testing a person who is wearing such, they invariably show much weakness. I am thinking that it is their belief system, or mine which is causing this phenomenon. First, you have my true gratitude (and respect for your courage) for your sharing your extremely valuable knowledge and love with us. For the story about the cross: I knew from several sources it was a very valued symbol well before Jesus was born. As religions have always used dirty little tricks to hide previous traditions and celebrations and the cross being an important symbol it made sense to hide the ancient signification with a story about crucifying Jesus. As for the apocalypse story, it has always felt very dodgy to me because I could not connect it to any proper loving and caring and fair God. An unfair or unloving God was always an impossibility in my mind. Somehow for the belief in a fair God I also always believed in reincarnation and a second chance and a third chance and so on and on…. Further, maybe a useful trick for some readers: Whenever we are having a frustration about something it is because we JUDGE the event/person/ circumstance/weather/etc… as BAD. As soon as we judge something as bad, what we are really doing is being so proud as TO KNOW BETTER than the Creator; in other words“I could have created this better!”. “I would have created a universe where this could not/would not happen”. This is second-guessing the Creator, and is silly. Very, very, silly indeed. I think this is what means eating fruit from the tree of the knowledge of good and evil. Lets not be so silly as to judge anything we do not like about the universe; and be grateful and happy with everything in our life. If it is unpleasant, let’s accept it as something we will learn from, and believe that the lesson learnt will be worth much, much, more rewarding than the suffering was unpleasant. Dear David and Celest, your “Four Horseman” article is one of the most enlightening and inspiring things I have ever read, and by the time i finished it, I was a blubbering wreck! My God, how the truth shakes our very being! I have always felt uncomfortable around fundamentalist Christian doctrines and have often been baffled, and on occasion disturbed, by the actions and deeds of many, which seemed greatly at odds with their creeds. I have experienced such an awakening over the last few years, including some very dark nights of the Soul, all of which I can now see were absolutely necessary in riding myself of some very negative and traumatic past experiences. I can now relate to their unique value and how indeed these catalysts in our lives do indeed instigate profound change and help us to evolve. Now every day is received with joy and gratitude and I am expanding on so many levels and standing in my own light. I now feel this rising and incredible latent power surfacing within me. The energies and highs of the true Christed Light are awesome! I now know there is an amazing future for all who wish to participate in this “Golden opportunity”. I will introduce this article to all who are receptive, but sometimes my heart is heavy when I see so many who are literally put to sleep by truth and who appear to be locked in intransigence and within the boundaries of inflexible and conventional doctrines. Practicing loving patience and understanding is a daily lesson as well! Thanks for your great site with all its most illuminating contributors. It is truly appreciated by this awakened heart and soul. You are an inspiration. Best wishes and much love to you from Malcolm. P.S. 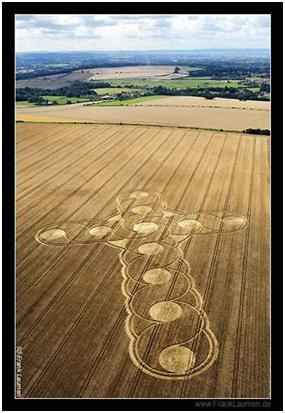 Perhaps it is no coincidence that a beautiful and magnificent 850 ft “crop circle” cross appeared in Wiltshire, England this summer. It has now taken on a totally new meaning! I just came back to look over your website and “The Four Horsemen of the Golden Now” was the first thing that I read. It was interesting. There are Many things out there already about the cross being the four directions, the four elements, the white, yellow, red and black man, and many other things. The cross symbolizes the balance or all religions and races and elements coming together. It is also a part of the American Indian flag. There is a cross inside of a circle with the four directions being a part of the symbolism as well as all of those others I have just listed above. I thought I might add that to your cross symbolism. After all, the Native American Indians have always known and held these values all along and I was surprised you never included anything of their way of peaceful life in your article. One of the four horsemen also represents the American Indian. 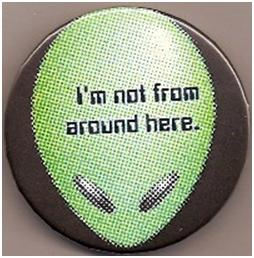 The others are a star person (an extraterrestrial being who has already been living on this earth since the beginning of time), an Illuminati member, and a younger American woman with a different background then other Americans. I also saw what you put down about the Illuminati. I am VERY happy to see that someone else understood what was going on there and are backing all of them up as well. I thought it was nice, my mother gave me a cross necklace last week. It’s embedded with crystals. She’s Catholic- I grew up Catholic but do not consider myself part of any religion but I’ve been wearing it ever since she gave it to me. She got it to protect me from some of the other things that she was not able to understand going on, and she said a prayer for me after she put it on. I have been doing everything I could by spreading awareness and getting the truth spread out there. I was wondering if you could give me any information about all prophesies coming together this year- 2008 for Christmas Eve. I do know what is supposed to happen and if I did read it correctly, you would be the people who are keeping the crystal skulls and the dropa stones protected. I believe it was Dr. Frank when I read the article. I just want to make sure all of this happens the way it is supposed to and was planned to in the Akashic records; which are also on the skulls. I believe it was David’s article that I read this from. I do have much information to add to your knowledge. A lot has happened over these past few months. 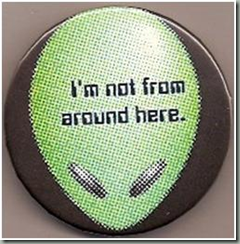 I talk to the star people as well as many of the others. Celest and David: We did not mention the native Americans because we would never single out one indigenous culture over the others. The world is filled with many indigenous tribes of people, unless we had the time to speak about all of them we would not speak of just one group in America. Each of their individual cultures have symbolic meanings associated with the cross and many other objects. Frank and his wife are wonderful people and have done much to inform the world of their discoveries. BUT, we do not know where you received info that the skulls all possess information of the Akashic Library. That is not true. Yes there are Hieroglyphics inside the skulls. They cannot be seen by the naked eye. Each marking is small and of perfect size and symmetry with each other marking. They are in perfect neat rows throughout the entire inside of that skull. A very ancient race of early Star Keepers worked with another ancient race of people here and together they hid the information within the skulls. Hey Godumentarians, love your work. When will the next post be. There has not been a post since Obama got elected and I would love to read your views about the now. , How wonderful to read about the true meaning of the cross and the 4 directions. Many of the indigenous teachings include the importance of the four directions and include them in most ceremonies and daily planning, such as the use of the medicine wheel. I’m excited to hear about this. Several years ago I asked to know the truth, whether I was comfortable with it or not. Very soon afterwards I happened on to sites like Messages from Mathew, your site and others and I have relied on the information from these sites to help me stay hopeful. Although some of the information was new to me, much of it I already knew inherently. I remember as a young child questioning some of the religious teachings I had been subjected to. It never made sense to me, that a creator who loved us unconditionally, would also have created some dark and horrible place called hell, and that this creator would want you to approach your life with guilt and shame, so even then I knew that my religion was using their teachings to manipulate people. I remember a dream I had several years ago about walking in the streets as the skies were lit up with wonderful lights from the galactic ships coming to help us on earth. I kept yelling to everyone, “don’t be afraid, they are here to help us” I was elated to see them in my dream and I will be elated to see them when I’m awake. What an honor it is to be here on earth at this time! A dear friend turned me on to your site a few months ago. Much truth resonates out clearly for me. Feels like old old knowings and ah-ha’s. Thankyou. As to the cross. I could see that indeed it is a compass and it is there to remind us of our way home. Seems that is what most of us have been doing. Trying to find our way home. The four horsemen reminded me of the vision of Nick Black Elk. He had a vision of the four colored horses coming dancing in. If I remember correctly they each carried an attribute of good. Perhaps that is the truth behind the bible verse. Perhaps it is all written in a backwards way in order to control the people. 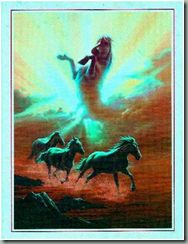 The horsemen are actually coming to REMOVE hunger, disease, warring and such. Coming to restore the balance of the human spirit. Just a thought. Those dark ones would have humanity believe that fear is our only God after all. Hi El… I am not sure if you are interested in the answer I may have for you… But you may or may not choose to read this. First let me address the cross. We as Jehovah’s witnesses do not believe that Jesus was crucified on a cross but on a straight stake both arms on top legs at the bottom. That is how it was done back then. The Catholic church years ago came up with the cross. 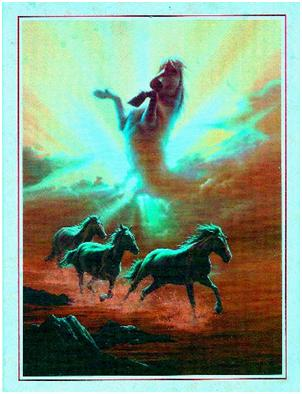 The one riding on the white horse is Jesus he has the authority. Jesus is poised with the sword and has the power to end wickedness and bring peace to the earth and paradise we are now waiting for that to happen soon. The one with the scale’s brings famine and food shortage (now seen all over the world)The red horse has brought nothing but wars and the pale horse death…. Your readings aim their arguments against those so called Christian religions that believe that the earth will be destroyed. And that all this horrific things that are to take place is to completely wipe out the human race which most Christian Churches teach I do believe they are right those things are not going to happen. We as Jehovah’s Witnesses have a complete different belief. 1… the earth will remain forever. Cleansed and ruled by the true God the creator of the Universe that includes angles…cherubs, Serbs, and whoever else is out there. But the earth and the heavens stars are different. The earth is the earth created for humans flesh and blood. ( there will be a resurrection of the dead they will hear his voice and come out.) From the Bible.. which you do not hold as true. 2. There is no hell where people will burn forever… Good is a God of love…so torture is not something that has never even allowed to come up in his mind. 4. We are the only religion who have chosen to follow Gods command as to THOU SHALT NOT KILL. 5. Jesus is Gods son and they are one in thought and understanding but God is God and his son is just that. There are a few more but I am not sure if you will even read this. So if you have come to understand anything about Christianity….we are nothing like them… As a whole we have never harmed a single soul and Christendom has killed millions in the name of God and Jesus Christ. Most wars if not all have some kind of religious background. So once and for all I hope this makes you understand we are NOT like other Christians. not that we are above anyone but we do try to live our lives according to the creator of the universe and soon this earth will be a paradise. The cross being a compass is wonderful! I had stopped wearing them because to me, they were always a symbol of oppression, the crossroads where darkness and black magick are worked. Now, that I know it is a compass, a directional, a becon for light energy, I will be on the lookout for the cross that calls to me. Oddly, I have always been drawn to the nautical compass like the one in the photo. Thank you again for your wonderful articles and please keep em coming! You said…”the next 2-4 years are not going to be an easy ride for anyone…” And I’m saying that my whole life on this planet has been very difficult. So like, uhm, it doesn’t even matter. What is important is finding the truth. And I would like to thank you for helping us by delving into what root the problems have been coming from, to find out and tell us. I’ve been doing a lot of reading of Gnosis, and you’re right, Christ never was crucified. I wondered when I read the Seth books by Jane Roberts, and Seth said that Christ was not crucified, that it was all an illusion. I wondered so much that I got into Gnosis and they said the same thing. That is how hard the lie has been, and how difficult for regular people to get past the illusion. Yes, the cross would definitely be a compass, a showing of the way to where the truth really is. It’s in there, it’s out there. Let’s all find it now. For most of my life I have believed that everything ion the Bible is true as I have been an active Christian. From my early childhood I can remember wanting to feel close to God but I never really did because I always felt that I was not worthy. My low self-esteem did not help me. I heard about reincarnation but it clashed with my beliefs. After my mother died about 6 years ago I missed her so much that I started searching and reading articles on the Internet. Reading about near-death experiences convinced me that reincarnation is a fact. I still believed in the Bible but for a while I joined an email list where I was exposed to other views. I am naturally inquisitive so I looked into every new web site. I read about “increasing one’s vibration” but did not understand. I later read about channeling but at the time I believed that it was “taboo” for a Christian. Later I read about the Law of Attraction and found Abraham’s website. Somehow the things that I read there just felt true so I kept reading. This broke down my resistance to channeling. I downloaded many free spiritual ebooks and for a time I felt overwhelmed with all this new knowledge. One thing that still held me back was the question “How did Jesus fit into this picture?’. How do I explain to my family that I am turning my back on Jesus Christ? In the past few weeks I have been looking into channeling and was amazed at how many different channels there are. Then I read that Jesus was not crucified and that the Bible was not all “true”. This conflicted with my old beliefs although it also felt “true”. I wanted answers but none came. Then a few days ago I came across “The Four Horsemen”. This seemed to be a part of my answer now I would like to know if you can please give my some more information on what really happened to Jesus. My family do not know of my real feelings yet and I want to be ready with answers for them. My husband of 37 years is a retired lay-preacher and my married sons are also lay-preachers. My daughter and son-in-law are also very strongly active in the church. Wonderful thoughts and realizations you have come to. Many people are questioning their old beliefs and looking askance at what their families still believe. Poor Jesus, everybody wants to crucify him. And no, he never was crucified. He in fact lived a very long fulfilling life with his wife Mary and had many children. Please continue to evolve the way you are, you are doing everything right. I just finished reading your web page about The Four Horsemen, and I am happy I did. A few weeks ago my friend asked me to go to a séance that she was channeling. At the event she told me that I had 4 celestial, angelic beings with me guiding me. She said they were like the 4 musketeers, then she said, they corrected and said “More like the 4 Horsemen”. They had a message for me and the message was; “You Are Ready”. Well, growing up in a baptist family and reading revelations before I even hit puberty, you can imagine, the thoughts that went through my head. I only know the 4 horsemen as Conquest, War, Famine, and Death. After I left this event, I got into my car where my odometer was not working, the odometer read 1111. i have been seeing this number for several years and I just learning the significance of its spiritual meaning. I want to thank you for your information, because it helped me put this all into better perspective. 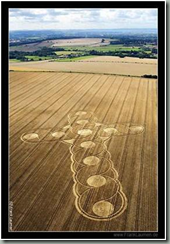 Dear Celest and David, Thank you so much for the inclusion of the picture of the cross at Etchilhampton, Wiltshire, with my response to the four horseman article. I`m sure that many people will respond to its significance in a positive manner. It is a stunning and powerful thing to witness and there are many superb photographs of this “spiritual compass” on the net. We are fortunate and honored in the U.K. to be graced with these bewitching images and patterns in our fields every summer. The galactic artists leave me in awe every year with the majesty and wonder of their overnight sculptures in the wheat and barley. Just for the record, the cross measures some 850ft in length, not 650 as I indicated originally. It is a truly massive formation to behold from the ground! I too was deeply shocked and appalled by the actions and sheer greed of the clambering crowds which led to the death of a Wall Mart staff member. A void of consciousness if ever there was. Let us hope that these wanton events do not occur again, but I suspect we have not seen the last of similar acts of sub human behavior. Note: He is referring to a Special Notice that Celest and David posted around Christmas time 2008 when innocent people were killed due to stampeding SHOPPERS at a N.Y. Wal-Mart store who were trying to get ahead of everyone during a one day sale. It occurred to me last night that it is not so much the dark that people are afraid of… IT`S THE LIGHT! Going within and exploring the depths of one’s being is a frightening prospect that few are willing to invest in (yet), even as their material “investments” and other feeble props, subside or disappear entirely before their eyes. How low do we have to go?! Thank you for your kind thoughts and words of encouragement, I am only too pleased to help in any way with the spreading of your messages and assisting others in their awakening potential. My final thought for today is for those who are having difficulty “seeing the light at the end of the tunnel.” If you stand IN The Light, you will never be IN “a tunnel” again! Love and blessings to you always, Malcolm. I enjoyed re- reading the Four Horsemen. I gained more insight, and have a comment which you can post if you wish with my first name. I had a crucifix many years ago that I slept with because I felt safer with it. This is from spiritual attacks, not physical. The crucifix kept loosening from the cross and hung by one side. I thought that this was because I was sleeping with it, though now I think it was not. That there is a message there that I didn’t get at the time. Though there was a different soul in my body at the time, as I am a walk-in. The message is the same for both, all of us. What the crucifix stands for in ‘religion’ is not what is stands for in greater, universal, ‘reality’. As I Awaken and have a greater understanding of Who I AM, and Who every one else IS, ie Who WE Are. The deeper and broader the my understanding of the ‘cross’, and the Universal Oneness. So my fellow travelers, Peace, Joy, Harmony, with All That Is.